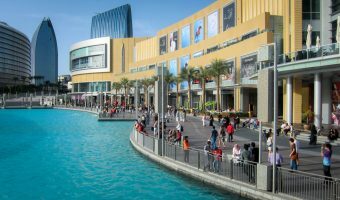 The Oasis Mall is a mid-sized shopping mall in the Al Quoz area of Dubai. It caters mainly to locals. In 2005 the original Oasis Centre was completely destroyed in a fire. A larger mall was rebuilt and reopened in 2009. The 4-level mall is home to around 70 stores. Some of the larger shops include Carrefour Market, Emax, Sun & Sand Sports, Babyshop, and Daiso. Shops at Oasis Mall are listed below. Listings were last updated on March 1, 2019 . Brands – Fashion for women and men. Chipstix – Fried potato snacks. Dollar Rent A Car – Car rentals. Galadari Motor Driving Centre – Driving lessons. Hamasat Accessories – Women’s jewellery and fashion accessories. Home Box – Furniture and home products. Home Centre – Furniture, home decor, household products etc. Hour Choice – Branded watches (Tissot, Swatch, Timberland, Lacoste, Juicy Couture etc.). iCARE Clinics – Health clinic. Lifestyle – Home decor, lighting, furniture, cosmetics, perfumes, fashion accessories, and more. Max – Value fashion store. Mini Melts – Frozen desserts. Pro Makeup Boutique – Cosmetics. Splash – Fashion for men, women, and teenagers. The Favors – Gifts and party supplies. Time to Time – Mobile phone, watch, and shoe repairs. Daiso is a Japanese discount store with literally tens of thousands of products. Most can be purchased for just a few dirhams. The product range is extremely diverse and includes kitchenware (glasses, baking moulds, jars, cutlery, bowls, trays, utensils etc. ), toys, stationery, cosmetics, pet care products (toys, bowls, collars etc. ), seasonal products (Christmas decorations etc. ), and ornaments. Carrefour Market is a smaller version of the Carrefour hypermarkets found at other malls in Dubai. It offers a good range of fresh produce including fish, meat, fruit and vegetables, and bread. It’s situated on the ground floor of the mall. Sun & Sand Sports is a sports shop on the first floor. Brands stocked include The North Face, Adidas, Vans, Timberland, Reebok, and York Fitness. In 2011 UK retail company WHSmith opened their first store in Dubai here. It’s situated on the ground floor and offers a good selection of newspapers, magazines, books, stationery, plus drinks and snacks. The Oasis Mall is open 7 days a week. Opening times are 10 am to 10 pm, Sunday to Wednesday, and 10 am to midnight, Thursday to Saturday. Most of the third and top floor of the mall is occupied by leisure and food and beverage offerings. Fun City, Thrill Zone, Fitness First, Balance Well Being 360°, and the main food court are all here. Places to eat and drink at Oasis Mall are listed below. Al Arrab Express (Third Floor Food Court) – Arabic. Baskin Robbins (Third Floor Food Court) – Ice cream and desserts. Bombay Chowpatty (Third Floor Food Court) – Indian. Caribou Coffee (Ground Floor) – Coffeehouse. Gelato Divino (Ground Floor) – Ice cream. KFC (Third Floor Food Court) – Fried chicken. McDonald’s (Third Floor Food Court) – Burgers and fries. Pizza Hut (Third Floor Food Court) – Pizzas and pasta. Subway (Third Floor Food Court) – Subs. Fun City is an entertainment centre is aimed at children from 2 to 13. It features a wide range of video and arcade games plus rides such as a carousel and bumper cars. Entrance is free but all games require tokens. Fun City can also organise children’s birthday parties. Fitness First operates two gyms on the third floor; one mixed and one ladies-only. Membership is required to gain entry. Facilities and services at the mall include a customer service desk, numerous toilets and baby changing areas, ATMs, and Etisalat bill payment machine, and prayer rooms for men and women. Orient Exchange on the ground floor offers a range of financial services such as foreign currency, international money transfers (including transfers to India and the Philippines), and credit card cash advances. 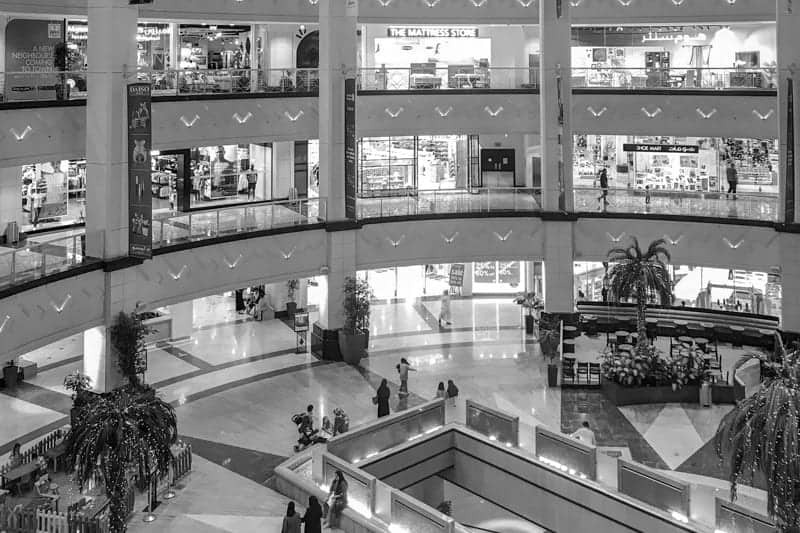 The Oasis Mall is situated in Al Quoz, between Interchanges 2 and 3 on the Sheikh Zayed Road. The basement level car park offers spaces for more than 1,500 vehicles. Map showing location of Oasis Mall.